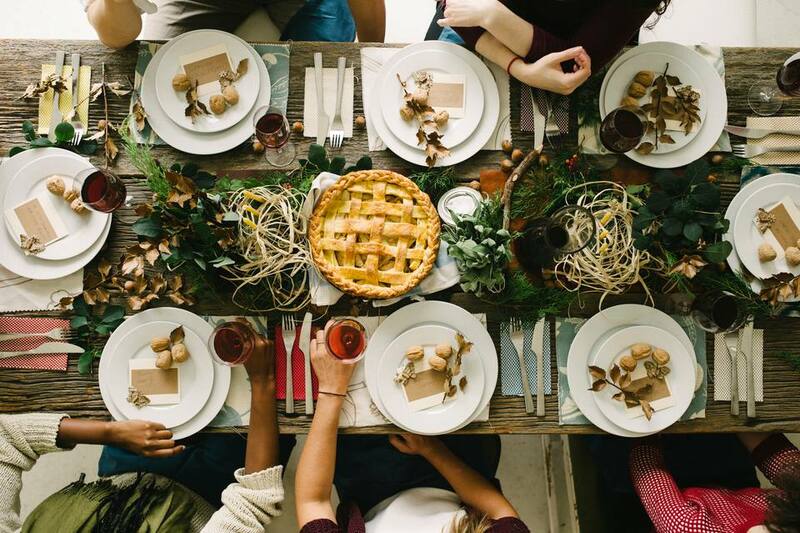 Whether you're looking for a traditional pumpkin or pecan pie, or something a little different like a seasonal crème brûlée or Yule log; you're sure to find a recipe that piques your interest on this list. Choose from a wide variety of scrumptious pies, cakes, puddings, and fruit cobblers. Snickerdoodle crème brûlée was inspired by snickerdoodles; everyone's favorite holiday cookies. Cinnamon flavors the creamy custard and caramelized topping. This pumpkin cake roll is always a hit, and it's easy to see why. The pumpkin cake is filled with a fabulous sweetened cream cheese filling. It's a nice change of pace from a pumpkin layer cake. Make an extra cake and freeze individual slices. This pumpkin cake roll with cream cheese filling is perfect when you need a special dessert for unexpected guests. This old-fashioned biscuit pudding is a great example of Southern ingenuity. Day-old biscuits are transformed into an irresistible dessert. This pumpkin sheet cake with browned butter cream cheese frosting is an instant hit. With this apple crisp pie, you get the best of both worlds - a rich pastry crust and a crumbly, buttery oat topping. Use a homemade pie crust or refrigerated pastry sheets. This impressive pear upside-down cake will wow your friends and family! Fresh fall pears and brown sugar make an irresistible topping for the cake. Carrot cake fans will love these carrot cupcakes with cream cheese frosting, the perfect dessert for fall and winter holiday meals! This pumpkin crème brûlée dessert is surprisingly easy to make, and it can be prepared in advance. Make the custard a day in advance. Just before serving, top it with the sugar and torch it to make the signature caramelized crust. If you would like to get away from the typical pumpkin spice and apple desserts, this brown sugar cheesecake with caramel pecan topping is an excellent choice. The cheesecake is baked in a graham cracker and pecan crust, and then it's served with an amazing caramel pecan sauce. Can you say "yum"? This carrot cake with pineapple is finished with a rich and creamy cream cheese frosting. Top the cake off with toasted coconut or pecans. A splash of Kentucky bourbon adds spirited flavor to this Bourbon pumpkin pie. Take your pumpkin pie to a new level with this recipe. This classic Mississippi sweet potato pie is a great alternative to the ubiquitous pumpkin pie. Add it to your holiday dessert menu! This fresh apple cranberry cake brings two of our favorite seasonal fruits together. It's a wonderful dessert to make for a holiday dinner or a festive seasonal party. This is another popular dessert, perfect for office parties and holiday menus. This chocolate delight dessert with variations requires only 10 minutes of baking (for the graham cracker crust). The layers are made with pudding, cream cheese, and whipped topping. This apple cranberry cobbler is yet another way to make a fabulous holiday dessert that isn't a pie. The apple cranberry filling makes it the perfect cobbler for seasonal entertaining or for a potluck dinner. This apple pie chips and dip is essentially a deconstructed apple pie. Serve it as a holiday dessert or party snack. If you want to make a pie but don't like to make pie crust, make this skillet pear pandowdy! The pastry mixture is cut into strips and baked atop the pear filling, making it much less fussy than the typical pie crust. Everyone can have their very own apple pie with these hand-held apple pies. If you can't decide between a pumpkin pie or pecan pie, this classic pumpkin pecan pie is for you! It's a delicious rich pumpkin pie with a pecan pie topping. Who says you can't have your pie and eat it too? This Ukrainian Christmas honey cake traditional cake is made with spices, and a combination of raisins, currants, dates, and nuts. This moist honey apple cake is a buttermilk cake with the addition of cinnamon and diced apple. 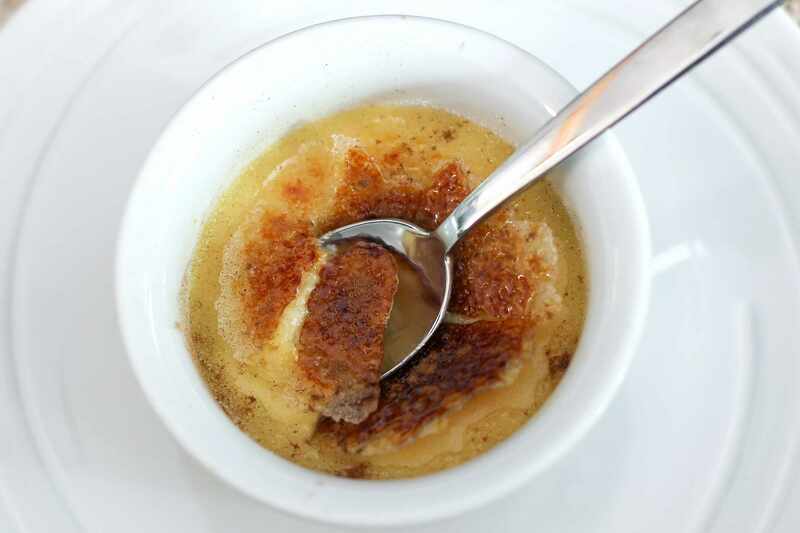 This smooth, creamy espresso crème brûlée is made with that wonderful caramelized sugar crust. A culinary torch is a great tool to have in your kitchen, but it can be broiled as well. Just take care to turn it and watch carefully. Add the sugar to the crème brûlée just before serving time. This best-ever lemon pound cake is flavored with sweet-tart lemon syrup. The syrup is drizzled over the warm baked cake. If you prefer your sweet potatoes in a dessert, this Southern sweet potato cobbler is a great choice. Serve the cobbler with a big scoop of ice cream or drizzle some sweet cream over it. Use purchased or homemade mincemeat in this British-style mincemeat and apple tart. This spiced pumpkin bread pudding is jazzed up with dried cranberries. Serve the bread pudding with a caramel sauce or brown sugar pecan praline sauce. Canned cranberry sauce and apple pie filling make this holiday-ready easy apple cranberry pie the star of the table. These single-serve muffin cup sweet potato pies are an easy preparation, and they taste great! Top them off with whipped cream and cinnamon-sugar. This fancy moist chocolate candy cane cake is a lovely treat. Decorate it with small candy canes and chocolate curls. The cake makes a fantastic centerpiece on any dessert table. This easy, layered pumpkin cheesecake is baked in a pie crust. Garnish servings with whipped cream and warm caramel sauce. This impressive Yule log is a rolled cake with a chocolate buttercream filling and coating. The classic French chocolate buche de Noel roll is made to look like a log with a branch. This maple walnut cheesecake is baked in a graham cracker walnut crust. Drizzle some maple syrup over the cheesecake or make a maple cream sauce to serve with it. This is a departure from the standard seasonal fare, but your guests are sure to approve. This Kentucky transparent pie is similar to a sugar pie or chess pie. Partially bake the crust to avoid a soggy bottom. This Southern homestyle banana pudding favorite is a great choice for a dessert menu. Serve the pudding in a large glass bowl that will show the layers or serve it in individual dishes. This chocolate Mississippi mud pie has a moist filling, and the hard, crusty top resembles the cracked, dry Mississippi River mud. Something the kids are sure to get a kick out of! Slice this big skillet snickerdoodle cookie into wedges and serve them with caramel sauce and ice cream. Is it a pie or is it a cake? It's both! Use a cast iron skillet to bake this delicious apple pie skillet cake. Use a ready-made graham cracker crust to make this delicious 10-minute, no-bake pumpkin pie. These festive red velvet cupcakes with cream cheese frosting are holiday-ready. Add some colorful sprinkles to impress your guests. Top this fabulous sweet potato cake with cream cheese frosting with toasted coconut or chopped pecans. Bake these easy butternut squash cupcakes for a holiday dessert table or party. Add chopped pecans or make them nut-free. Fluffy caramel cream cheese frosting would be a great addition to these cupcakes. When you're planning your holiday dessert menu, don't forget the chocolate lovers! This chocolate loaf cake with easy chocolate glaze is moist, delicious and wonderfully decadent. This classic New Orleans style bread pudding is a fabulous end to a holiday feast. The whiskey sauce is the perfect topping, but you might offer a butterscotch sauce or caramel sauce. Fresh ripe plums are the star of this gorgeous, classic plum and almond tart. The tart is filled with an almond cream frangipane and topped with sliced plums. This is a rich cream cheese sweet potato cheesecake pie. Use a homemade or ready-made graham cracker crust for the pie. Serve it with whipped cream and enjoy! This pumpkin pie with graham cracker crumble is a great tasting pie. Bake the pie with the topping or sprinkle the crumble over individual servings. Everyone will love this yummy layered cherry pretzel dessert, and it's so easy to fix. The canned cherry pie filling makes preparation a breeze, and the pretzel crust gives it an interesting flavor and crunchy texture. This apple bundt cake with caramel icing is loaded with chopped apples and nuts. It's finished with an easy caramel icing, but feel free to top it with a vanilla icing or drizzle servings with caramel sauce. This maple and brown sugar pecan pie is an excellent choice for your holiday table. The filling for this butternut squash pie is similar to a pumpkin pie filling in texture and flavor. Replace the ubiquitous pumpkin or sweet potato pie with this yummy pie. This hummingbird cake with cream cheese frosting is a very popular cake made in three (or four) layers. It's a moist cake with pineapple, chopped pecans, and bananas. A cream cheese frosting tops it off. Toast the pecans for extra flavor. This spiced pumpkin pudding can easily replace a pumpkin pie. It's lower in fat and carbs, and you don't have to fuss with a crust! Fresh, crisp apples and cranberries team up in this fantastic fruit crisp. This apple cranberry crisp with oat topping is taken to a whole new level. This scrumptious pear crisp with oat topping is an excellent way to use fresh pears; making it a delightful dessert for any occasion. Rum-soaked fruits, cinnamon and Demerara sugar flavor this fabulous Caribbean Christmas cake.